MADISON — Vitto Brown is 6-foot-8, 237 pounds with a 7-foot-3 wingspan. 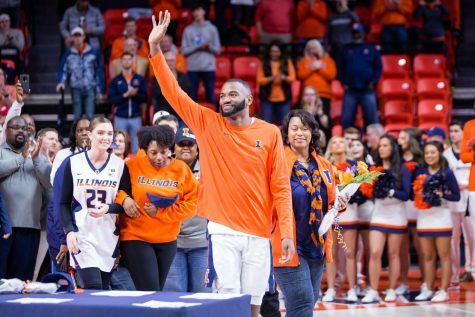 Khalid Lewis is half a foot shorter and fifty pounds lighter, but Illinois’ starting point guard still decided to enter the trees Sunday night. Brown’s big block was the exclamation point on a 69-60 Badgers (17-10, 9-5 Big Ten) win over the Illini (12-15, 4-10 Big Ten). The first half was a defensive grind. Neither side seemed to get a handle on the ball through the game’s first 10 minutes, with players getting caught in the air and bricking open shots. 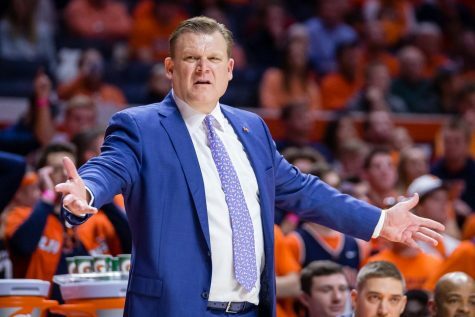 Wisconsin found its groove first, embarking on a 12-0 run, and then Illinois counterpunched with a 12-0 run of its own. 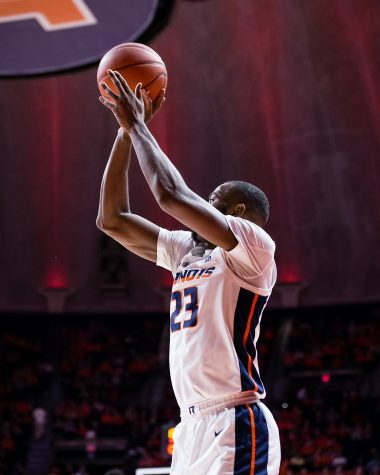 Kendrick Nunn shot 4-of-9 for 12 points in the first half, and the Illini led 29-24 at the break. 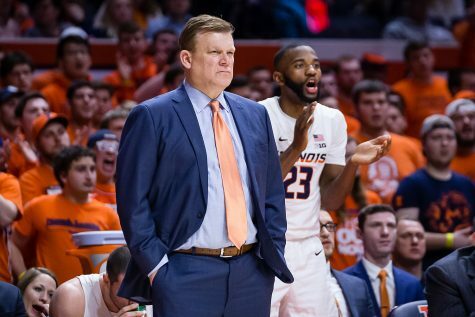 Illinois’ lead ballooned to 13 in the second period, but Wisconsin came roaring back thanks to from Ethan Happ (20 points, 12 rebounds, six steals), Nigel Hayes (17 points) and Bronson Koenig (14 points, five rebounds). They were the main contributors in a massive, 28-4 second-half run for the Badgers. With six minutes and change in regulation, Happ got a steal, which resulted in a Hayes short jumper. The bucket gave the Badgers a 48-46 advantage – their first lead since 2:30 in the first half. 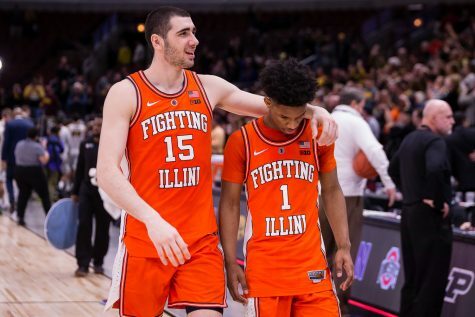 The Illini would never fully recover. 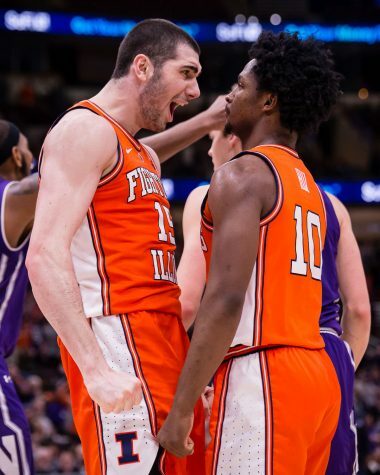 They played terrific basketball for 30 minutes before things started to unravel. Hayes got it going after shooting 0-for-5 in the first half, Maverick Morgan fouled out and Kendrick Nunn committed costly turnovers. 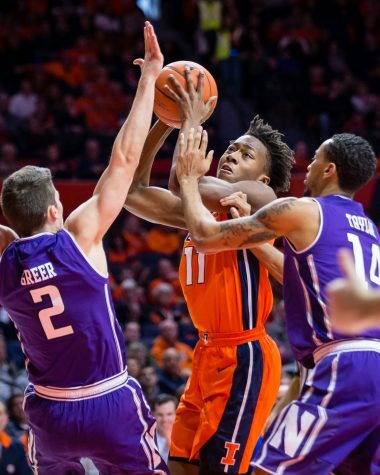 Malcolm Hill (20 points, seven rebounds, two steals) did all he could to keep his team in the game, but Illinois fouls piled up and proved costly. Happ was the beneficiary of many such fouls. The redshirt freshman and Milan, Illinois, native shot 5-of-7 from the field and went to the charity stripe seven times, going 10-of-14 from the line. 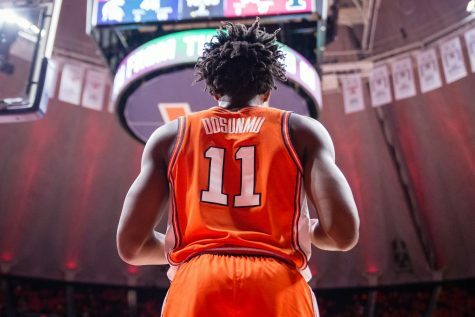 As a team, Wisconsin shot 33 free throws, compared to Illinois’ 10 attempts. 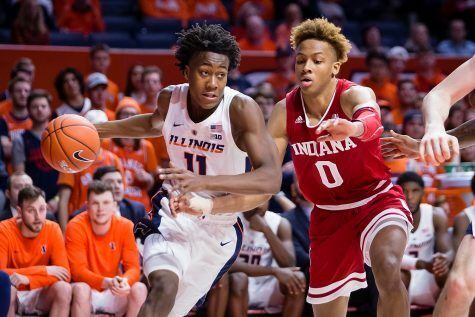 Sunday’s game marked the Badgers’ 10th straight win over the Illini. 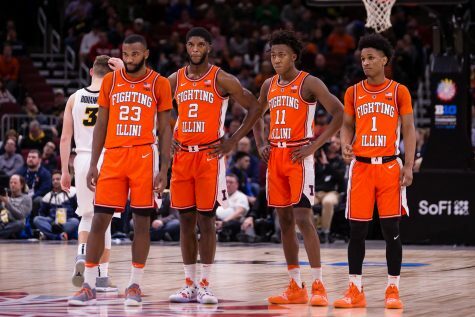 Groce’s bunch will head back to Champaign for a matchup with Indiana on Thursday.